Auffenberg is best especially the Kia group with James and Greg being best of all. I bought a new Kia Sorrento from this location the deal worked out for me when the GM got involved. I appreciate that, but was sad it had to go there, but he was great! They did get my vehicle from another location so I had to wait, but I was ok, because they made the deal and got it done for me. I would NEVER buy the service warranty again because if you have a refund coming to you, be prepared to wait!! I had to get the GM involved to get that back also. I loved the vehicle at the time. James and the rest of the staff treated me very well. It was the most painless buying experience that I have gone through. Do your homework and the rest will be easy. Kayte was so helpful we showed up late and she didnt complain ran all over the lot to help me find the right cars! Thank you Kayte! Gary was also helpful with my deal and worked with me to make me feel comfortable. Thank you Gary! James my sales person, The manager and Tim the finance officer made me feel like they were genuinely concerned about me getting into the car I wanted and made my transition very smooth. 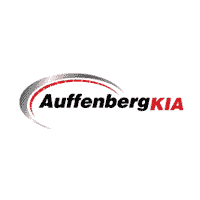 I would reccomend Auffenberg Kia to all my friends. I love Josh. He is so thorough and competent. He explains everything. He helps me figure out the most economical route to achieve what my vehicle needs.